Giant Ring in Bosnia -  An epic journey of new discovery so fantastic that our natural instinct would be to block it out. Enormous Footprint Discovered In South Africa: Did Giants Once Roam The Earth? 30 million year old giant rings in the Bosnian mountains? Have researchers found 30 million year old giant rings in the Bosnian mountains? According to the local population, it is believed that these “artifacts” date back to the era of the Pannonian Sea, and legends suggest these were used by giant beings who inhabited the area in the distant past. Recent discoveries point to a time when giants roamed the Earth. The mysterious giant rings that were found on top of mountains suggest that these were used by giant beings who inhabited the region millions of years ago. Local residents have mixed feeling about these mysterious rings. Some have suggested a particularly simple explanation. According to some local residents, these “giant” rings belong to the Austro-Hungarian empire put in place to help the transport of timber across the harsh mountains of the region. Those who support this theory point out that these giant rings were somehow placed inside the mountains at a time when the Pannonian Sea still existed. These giant rings were used to bind ships, and the region was used as a sea port. There are legends in the region that speak of giants and their huge ships. There are assumptions that these giant rings were made by giants, ancient ship owners and sailors who inhabited the region in the distant past. But is it possible that these rings are millions of years old? If so, how? What material are they made of? As there has been no “official” research done the possibilities are endless. Local residents have stated that there are numerous other findings in the area which cannot be explained, and all of these findings are being deliberately hidden from the people. These giant rings, and giant rocks that seem to be finely carved are found at the hills around Vogosca between Breza and Vares, near Sarajevo and in several places in eastern Bosnia. 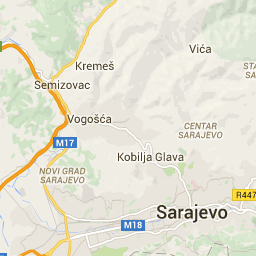 There are also four of these at Bjelasnica and Vlasic, Vranica, Prenj, Velez, then Majevica, Bukovica near Travnik, above Stolac. The locals stress how important it is to examine these findings. The locals have talked about these mysterious rings for years, and there are mixed feelings when it comes to findings like these. While some suggest that it is literally impossible for these giant rings to be that old, others believe that this points to the fact that giants roamed the Earth in the distant past, and evidence of this can be found all over the world. Those who firmly believe it is impossible for these giant rings to be that old, point to the fact that the Pannonian Sea was located in the area of ​​the Pannonian Plain about 30 million years ago. This sea disappeared around 600,000 years ago. There simply would not be a good reason to create giant rings to bind ships to if these ships wouldn’t be able to reach these “ports”. 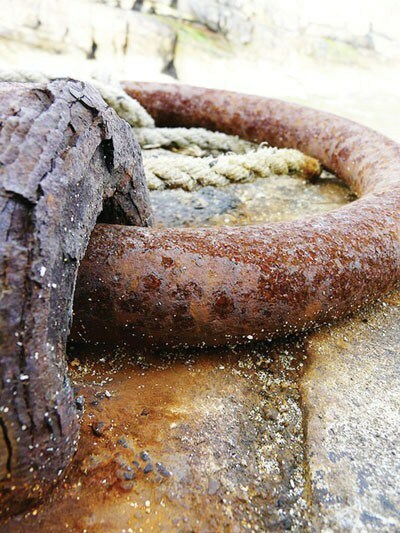 Yet many people have seen the giant rings, but some suggest these were not used to tie boats to the coast. At the time of the Pannonian Sea there were no people, thus, who could have constructed the boats? So if there was no one to build a boat, who would have created the rings? The first hominis who built tools date back to around 200,000 ago, the time gap between them and the Pannonian Sea is 400,000 years. Kozara, where the giant rigs were found, was an island in the Paratethyan ocean 50,000 years ago. As the Pannonian Sea withdrew, the coastlines appeared. This is why, Dragan Romčević, director of the National Park “Kozara” states that these giant rings can not be from this period. Others suggest that these “giant rings” were put in place in the recent past and were used to secure “weather balloons” to the ground. Dejan pelvis, a professor of history at the Prijedor Gymnasium believes that these rings of Kozara are one of those incredible mysteries associated to the past. All these mysteries share one and same fact – that no one can accurately explain their origin and purpose. These findings are shrouded in mystery. This is a topic on which science cannot offer explanations to, simply because it lacks logical facts, and since science cannot explain these mysterious artifacts, people have no choice but to interpret the phenomena themselves, and then, everything becomes possible. Ivan Petricevic is a freelance writer, editor-in-chief of ancient-code.com, he also writes for EWAO, Share Knowledge, Svemir Online and Ancient Origins. History, Archaeology, Space and world’s mysteries are some of the topics he writes about.